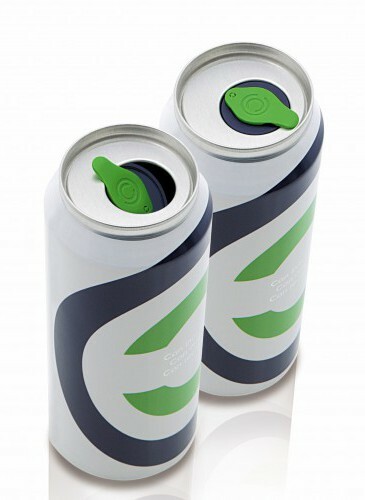 can2close (c2c) presents an improved opening mechanism for standard beverage cans that is easier to open, offers a better drinking experience and is resealable. Standard beverage cans are made of an aluminum body, an elastomeric seal, a lid and the SOT lever. Once the lid is torn open, it is not possible to reseal the can again. The can2close lid fits with standard can bodies and can enhance a variety of standard lid sizes with a new mechanism. It consists of a tamper-evident lever that opens the can when turned 180 degrees in either direction. Turning the lever back to its original position returns the mechanism to its airtight, sealed state. With this mechanism, it is possible to open and reseal the beverage can as many times as desired. We offer beverage brands a new innovation and a great branding possibility, as the shape and color of the can2close flap and tab are customizeable. The can2close solution is made exclusively for beverage cans, which will not only continue to protect their content better than plastic or glass, but will also remain the lightest, most efficient, and most highly-recycled option, worldwide.